Showers likely. Snow level near 5500 feet. Rainfall amounts less than a tenth of an inch likely. No new snow accumulation near Hurricane Ridge. Mostly cloudy with a chance of showers in the evening, then partly cloudy with a slight chance of showers after midnight. Snow level near 4500 feet. 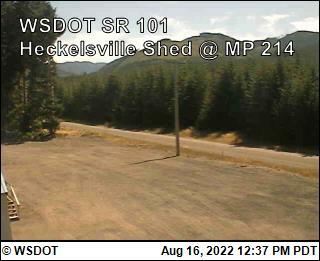 No snow accumulation near Hurricane Ridge. Sunny. Freezing level near 5000 feet increasing to 6000 feet in the afternoon. Mostly clear. Freezing level near 6000 feet. Mostly cloudy. A slight chance of showers after midnight. Snow level near 5000 feet. Cloudy with a chance of showers. Snow level near 5500 feet increasing to 7500 feet in the afternoon. Mostly cloudy with a chance of showers. Snow level near 6000 feet decreasing to 4500 feet after midnight. Mostly cloudy. Freezing level near 5000 feet. Partly sunny. Freezing level near 4500 feet.